Home » General » Wishing you a Happy Thanksgiving! The Law Office of Anthony B. Bingham, P.C. 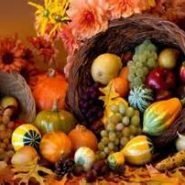 will be closed on Thursday, November 24th and Friday, November 25th in observance of Thanksgiving. We wish you a Happy Thanksgiving.